Prominent & Leading Wholesale Trader from Delhi, we offer silent genset for agricultural industry. Our organization is instrumental in exchanging, sending out and supplying an astounding quality Silent Genset for Agricultural Industry that are utilized as a part of giving light in zones where routine light supply framework is untrustworthy. 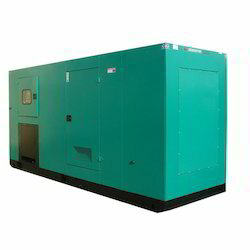 These genset are requested in the business sector for their ideal quality and exceedingly proficient. Genset gave by us are fabricated from genset premium quality segments and the most recent innovation in consistence with industry set gauges. Also, we give these diesel and gas genset in modified choices according to the requests of our prestigious customers at the sensible rates.